Tom Cervone is pleased and honored to be back at the Clarence Brown Theatre as Managing Director following 5-year hiatus during which he served as Executive Director for both Dogwood Arts and the Historic Tennessee Theatre Foundation. Prior to that, Cervone spent twenty-three years managing UT’s Clarence Brown Theatre. Throughout that time, Tom was very active within the UTK community, having served as Exempt Staff Council chair for many years, co-chair of the LGBT Commission, a member of the Diversity Council as well as many other UTK student, staff and faculty organizations. He also received the Chancellor’s Citation for Outstanding Service to the University in 2010. 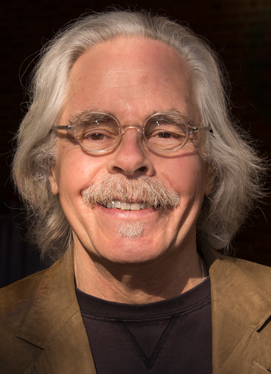 Cervone spent many years on the board of the Arts and Cultural Alliance of Greater Knoxville, and currently serves on the advisory board for the College of Business at Maryville College, the board of the WordPlayers as well as the inaugural BOD of River and Rail Theatre Companies. He has also served as chair of the curriculum committee for Leadership Knoxville and has been a member of their BOD as well. Recently, Cervone was appointed to the Foundation Board of West Liberty University, his alma mater. He is a proud and longtime member of the Actors’ Equity Association. Cervone holds his undergraduate degree in Speech and English Education with an emphasis in Theatre from West Liberty University in West Virginia and a Master of Fine Arts and an MBA from UT. He is a graduate of and was selected as the Class Representative of the Leadership Knoxville class of 2011. Most recently, Cervone was inducted into his undergraduate alma mater’s class of 2015 Wall of Honor.